I realized I have been posting mainly fashion topics the past few weeks, probably because there has been lots happening in the fashion world, however I wanted to change it up. 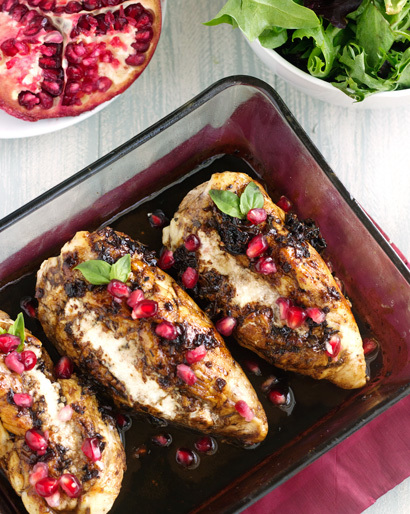 I found this recipe a week or so ago and have been dying to try it myself but haven’t had the time – hopefully this weekend! 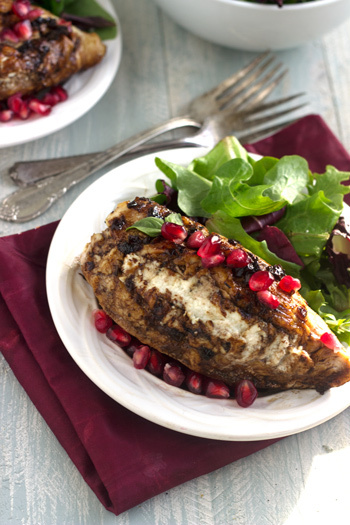 If you like goat cheese, and I know I will eat it on anything, then you will love this chicken dish. I hope you all have a wonderful weekend and try something new in the kitchen or out of the kitchen! 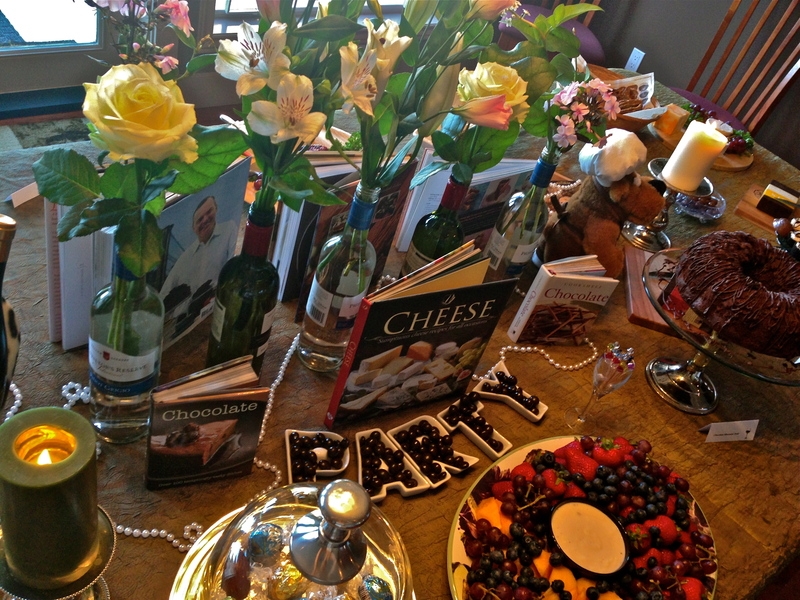 I have seen this done in magazine’s and on Pinterest of course…using wine bottles as individual vases for flowers. I wanted to spray paint them but ran out of time and in the end, I like the natural uniqueness of each bottle. 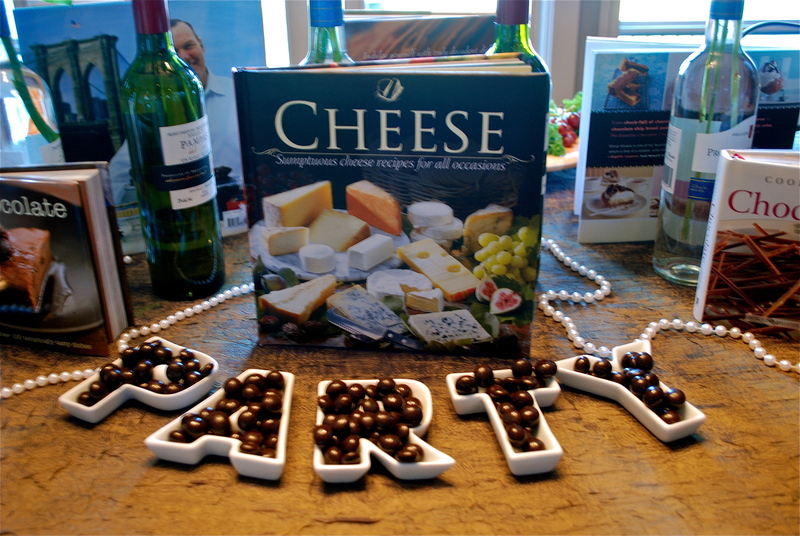 It also suited our “Wine,Cheese & Chocolate” theme. 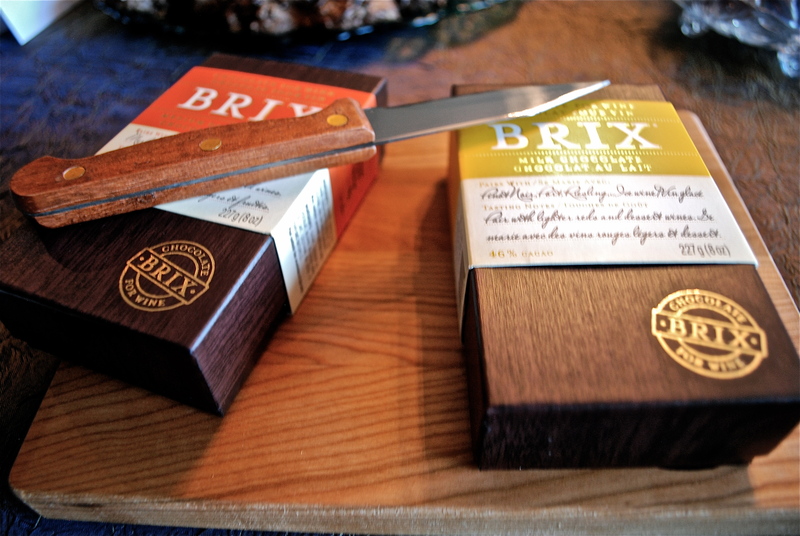 If you haven’t tried BRIX chocolate, I highly suggest it! 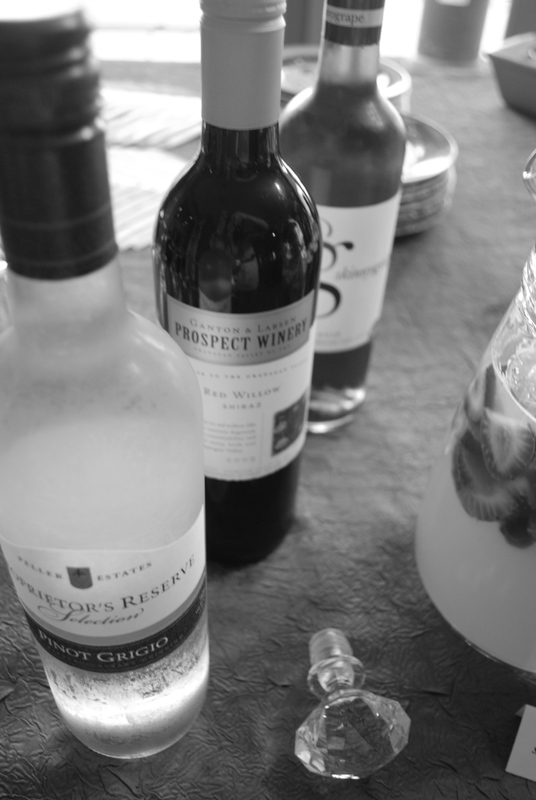 IThis specialty chocolate is made for pairing with wine… yum yum. 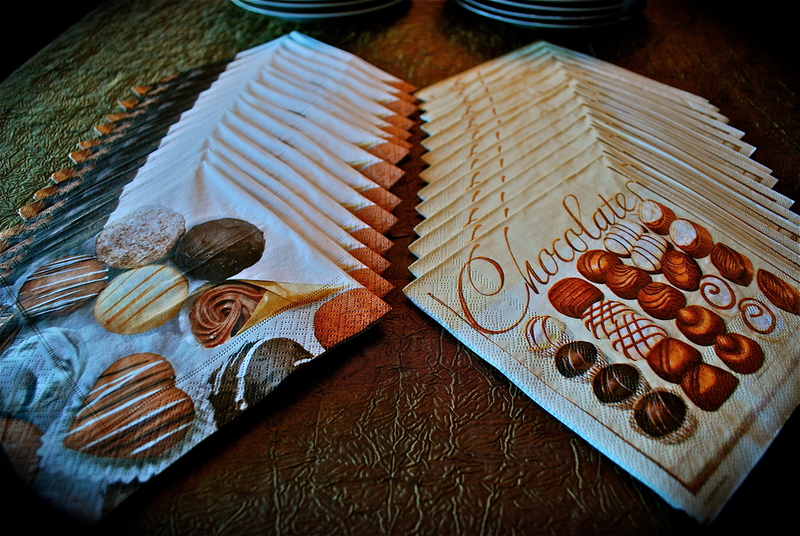 A party is not complete without matching theme serviettes. 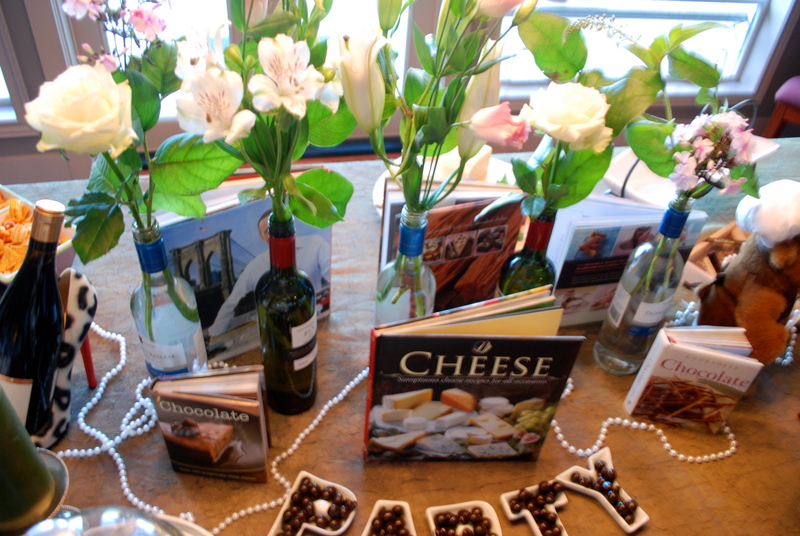 Table close up ~finishing touches of the table with some strings of pearls and our many books on Chocolate & Cheeses. The entrance: one of THE most important parts of an event. This is where your guests get the first impression of what they have to expect and also what will stick most in their mind. 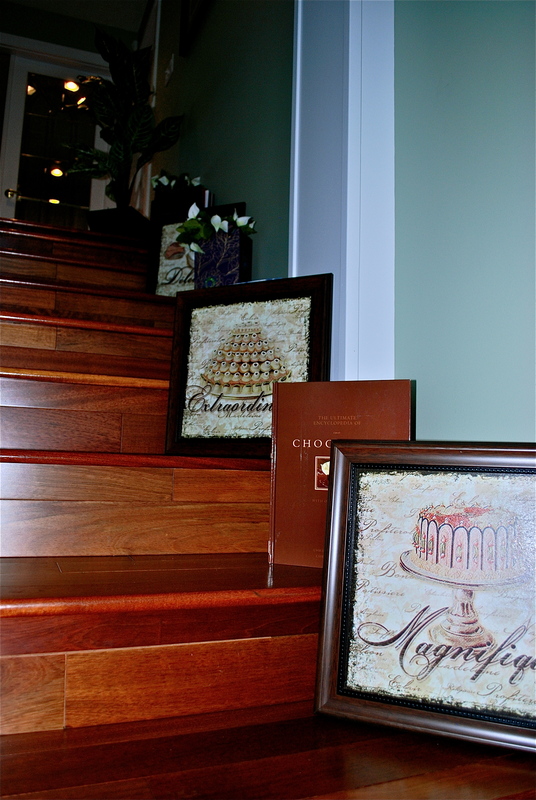 We found some adorable chocolate/dessert paintings, more books on chocolate and fun accent gift baskets to line the staircase as our guests entered the house.